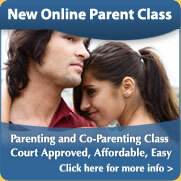 Anger Class Online® presents the nations first online anger management class exclusively for teenagers and adolescents. These 8 and 12 hour classes are ideal for young adults ages 11-17 years old. We have created a unique online experience that will keep kids engaged while simultaneously teaching them skills to improve anger and stress management. We are the recognized leader in providing online anger management education. Our online anger management classes are an ideal resource for personal growth, as part of a school disciplinary action, or for court or legal requirements. Teaching kids good anger management skills while they are young will cement skills that will last a lifetime. Poor anger management can have disastrous affects over time. As a parent or guardian, you have the opportunity to help reinforce change by providing this online class to your child in a format that is user friendly and with relatable examples they will enjoy. This exclusive online anger management class is just for teenagers and young adults. If you are interested in taking our standard anger management program for adults, please visit our home page. Help your child gain valuable skills in a positive and upbeat learning environment taught and created by Dr. Ari Novick, Ph.D, a national and renown author, educator and licensed psychotherapist. *We stand behind all of our products and programs. While many participants take our online anger management programs for personal or occupational reasons, others may take them for a court, probation or other legal requirement. If you are not completely satisfied with the quality and acceptance of our programs for a court or legal requirement, we will refund your money in full with written proof of decline. Currently there are no set standards for anger management requirements; it is your responsibility to confirm with the judge, probation, or your attorney as to whether a distance-learning anger management program will meet your requirements. For more details about our guarantee, read about our Guarantee and Approvals. Comprehensive courses based on our book Anger Management for the Twenty-First Century by Ari Novick, Ph.D. and Tony Fiore, Ph.D.